Brain and Spinal Cord Tumors are a form of abnormal cell growth in the central nervous system. These tumors are generally classified as malignant (meaning cancerous) or benign tumors. Tumors can arise from any cell type of the brain, including neurons, astroglia, oligodendrocytes, meningeal cells, and the neural crest cells (neuroectoderm) of early development. Tumors may also arise as metastasizing cells from other cancer types elsewhere in the body. The most common type of primary benign brain tumor in adults is the meningioma, arising from the meningeal layers surrounding the brain. 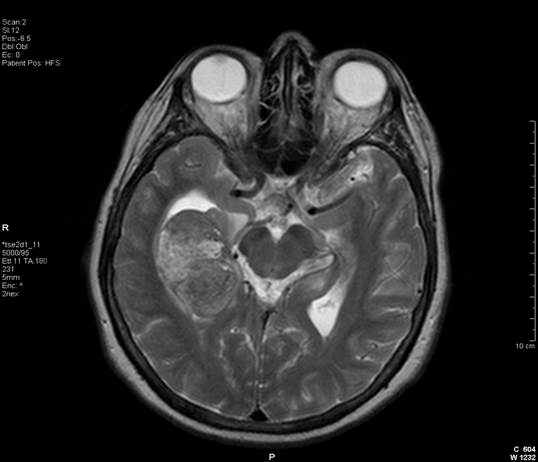 The most common type of primary malignant brain tumor is from the glioma class (which includes the most severe grade IV astrocytoma called glioblastoma). 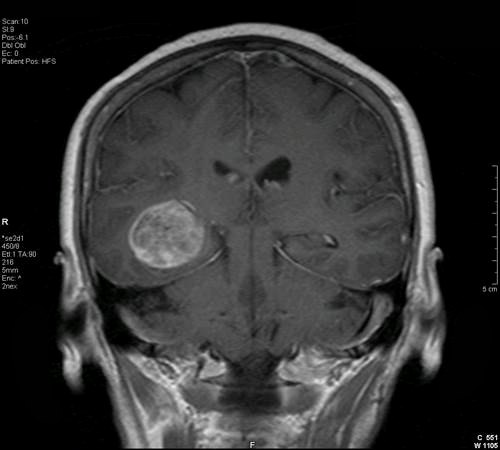 The most common primary benign brain tumor type in adults is low-grade glioma and the most common malignant brain tumor type in children is medulloblastoma, which is a form of primitive neuroectodermal tumor (PNET). Brain tumors are the second leading cause of cancer-related deaths in the first few decades of life, and yet the causes and mechanisms of most brain tumors remain unclear. Symptoms of a brain tumor can include new-onset headache, new-onset seizures, hormonal dysfunction, emotional changes, sensory changes (e.g., in vision and hearing), confusion, and cognitive dysfunction. Treatment options generally include some combination of chemotherapy, radiation therapy, and surgery, as well as medications to suppress seizures, reduce tissue swelling, and relieve pain. Although many types of brain and spinal cord tumors can be benign, any type of tumor in the nervous system can be devastating since it can put pressure on the brain and spinal cord within the confined area of the cranium and spinal canal. 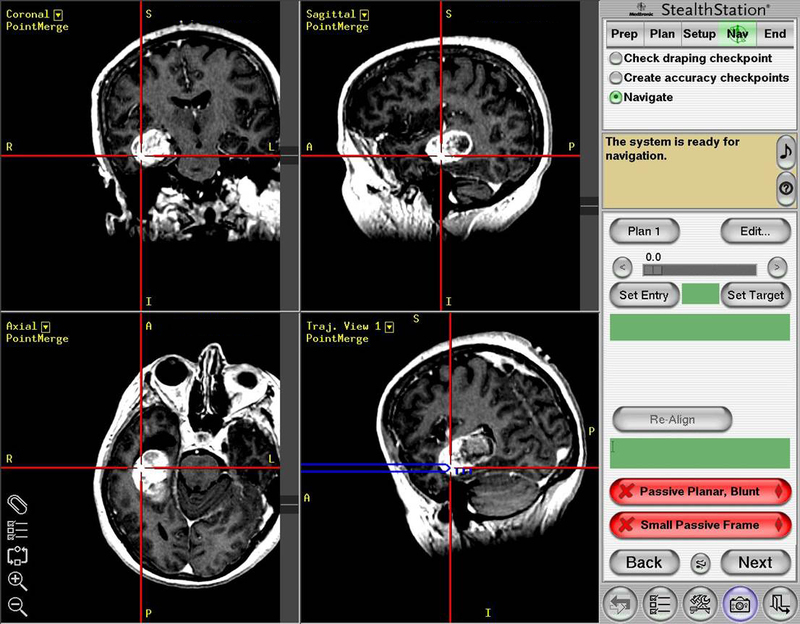 Removal of tumors can cause significant and permanent neurological damage. However, neural tissue engineering holds potential to rebuild and restore areas of brain or spinal cord that have been damaged by tumor resection [1-2]. Furthermore, researchers have also created stem cells that can secrete toxins that selectively target and kill certain brain tumor types that have few other effective therapeutic options . 2) McMurtrey RJ. Novel Advancements in Three-Dimensional Neural Tissue Engineering and Regenerative Medicine. Neural Regeneration Research. 2015 Mar; 10(3). 3) Stuckey DW, Hingtgen SD, Karakas N, Rich BE, Shah K. Engineering toxin-resistant therapeutic stem cells to treat brain tumors. Stem Cells. 2014 Oct 24.